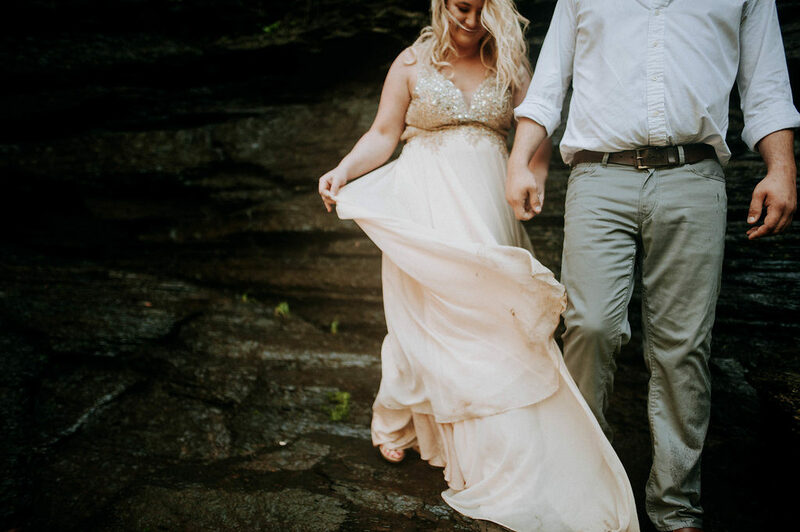 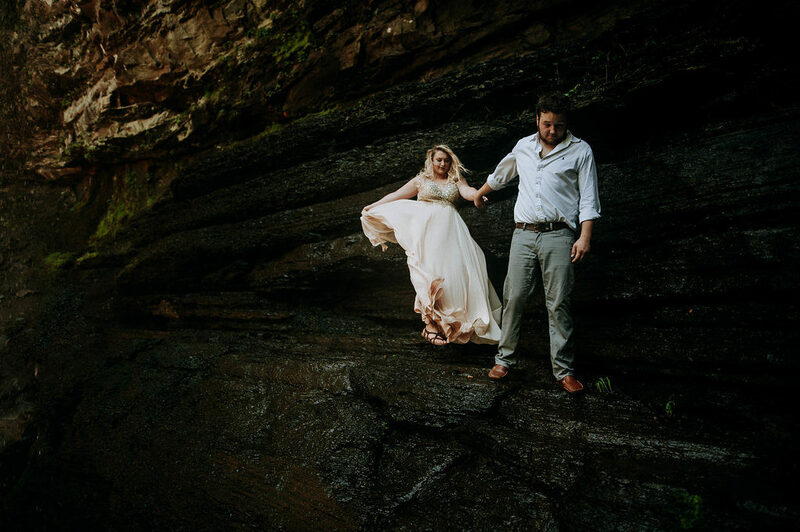 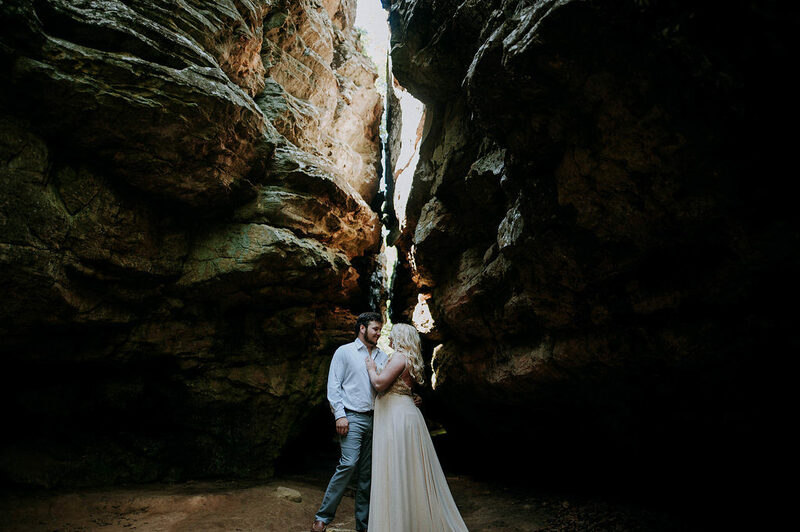 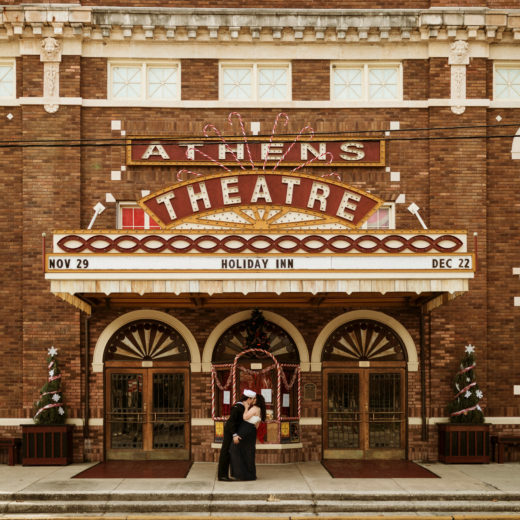 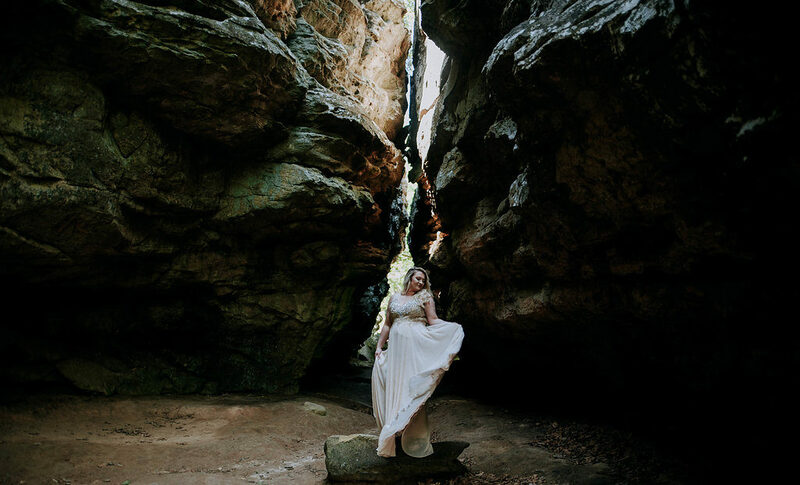 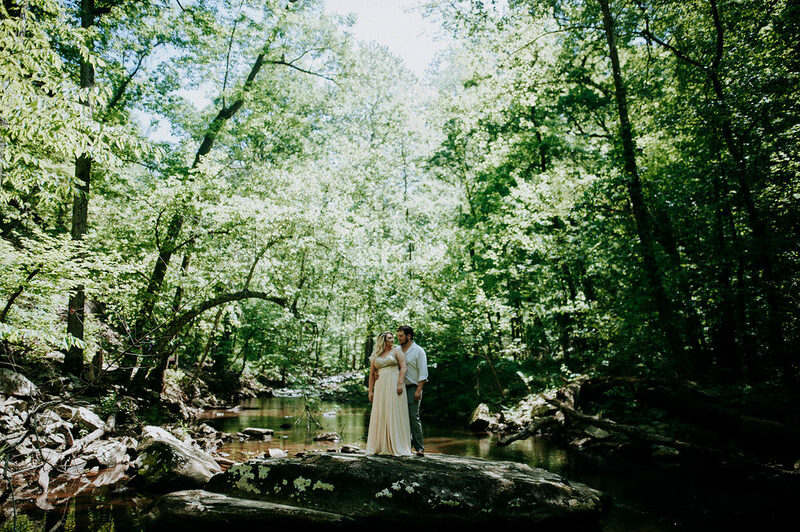 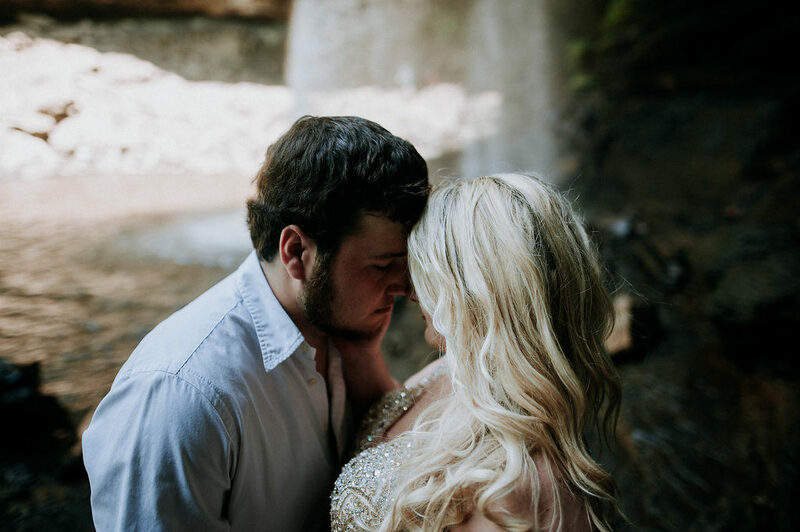 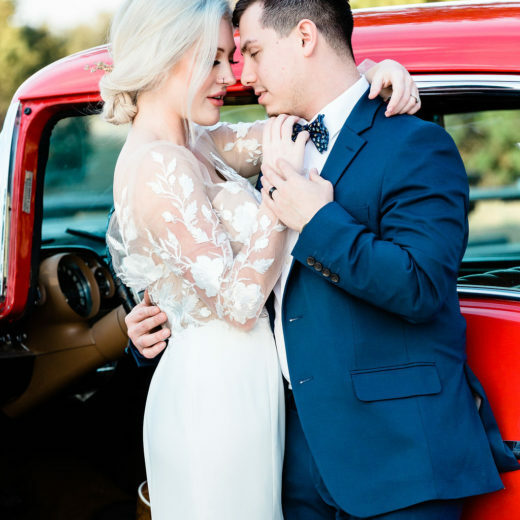 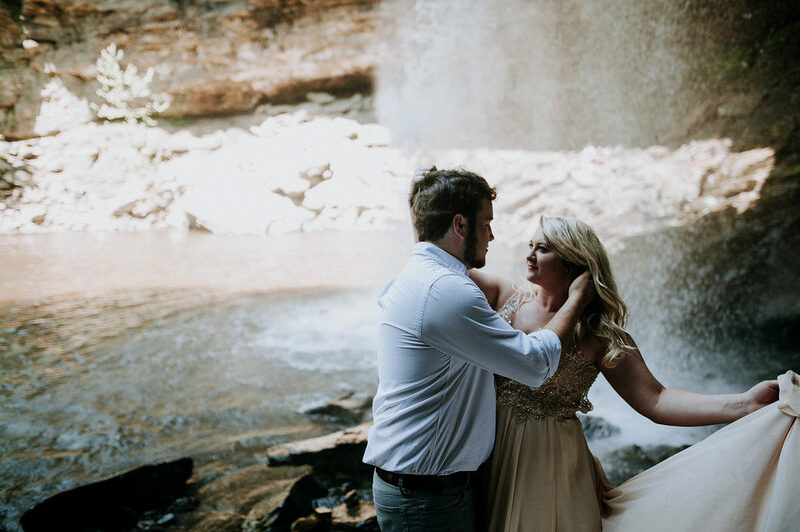 When bride-to-be Cathryn Kilgore of Greenville, Mississippi contacted Elizabeth Skelton of Skelton Photographie to shoot her engagement photos with her fiance’, Justice Lusk, she told the Delta photographer that she wanted something different from the ordinary engagement sessions she had seen on Pinterest. 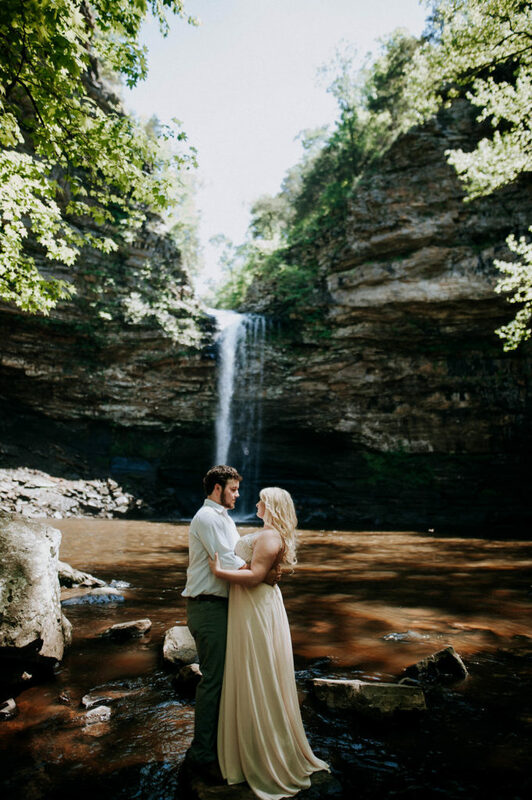 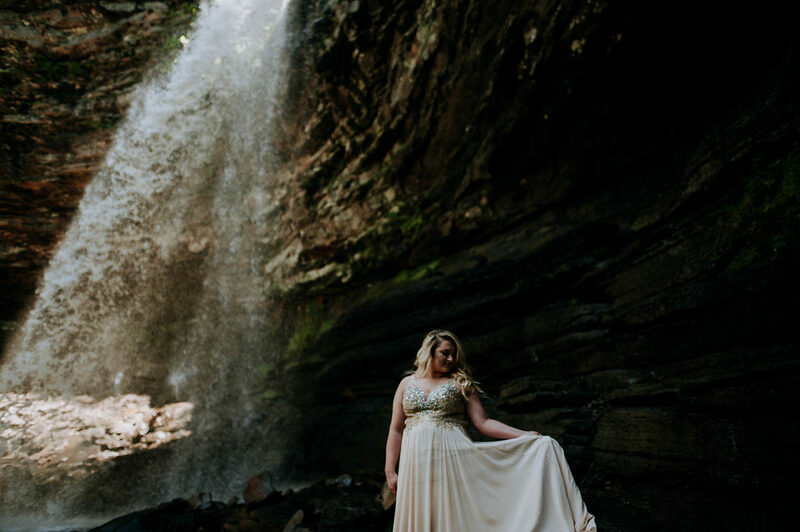 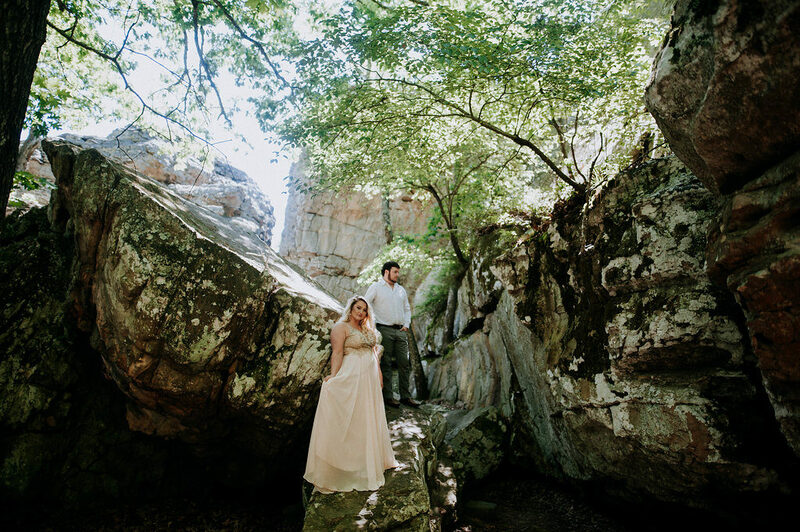 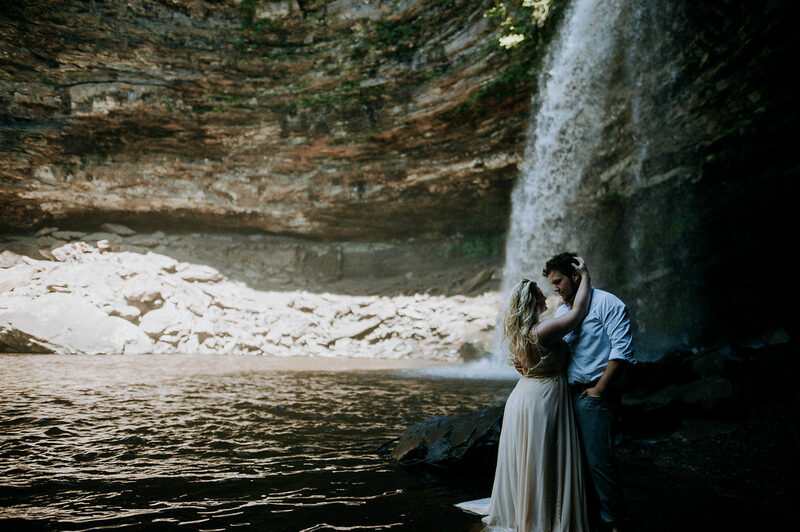 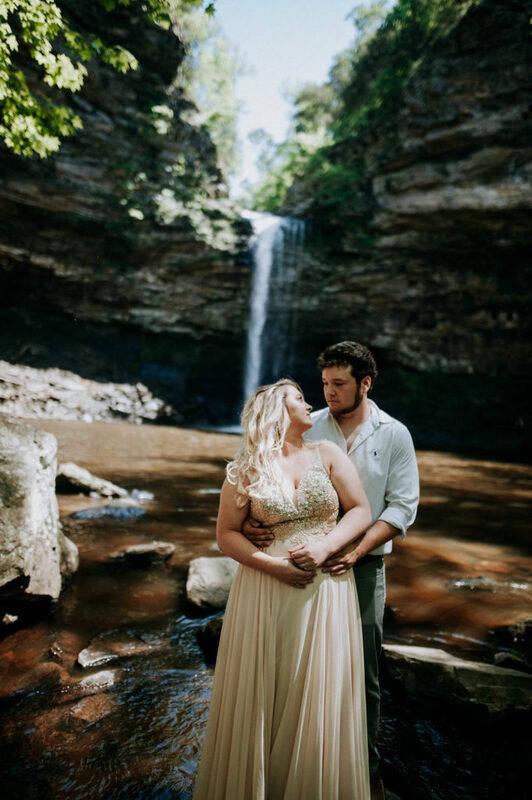 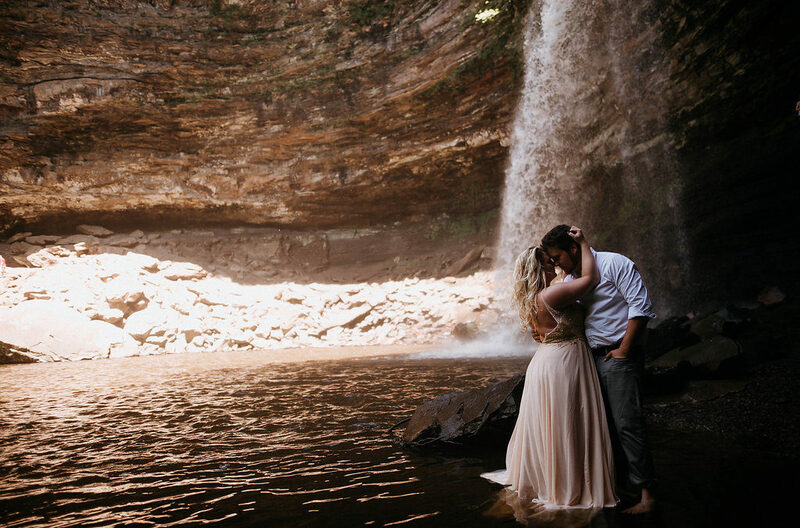 That suited Elizabeth just fine because she had been wanting to shoot something special at Petit Jean State Park in Arkansas for a while. 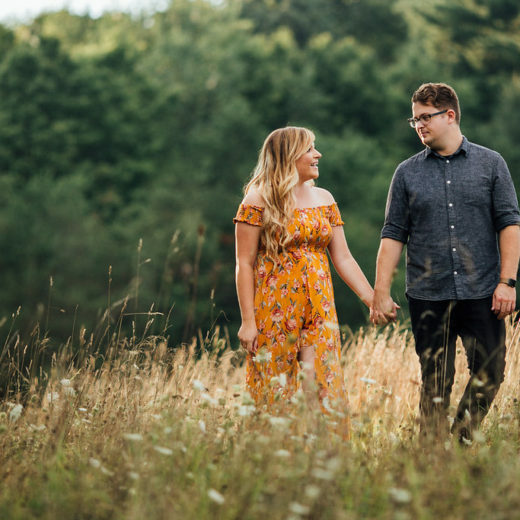 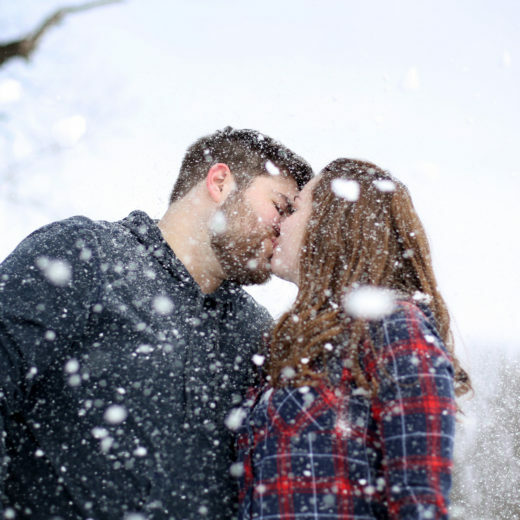 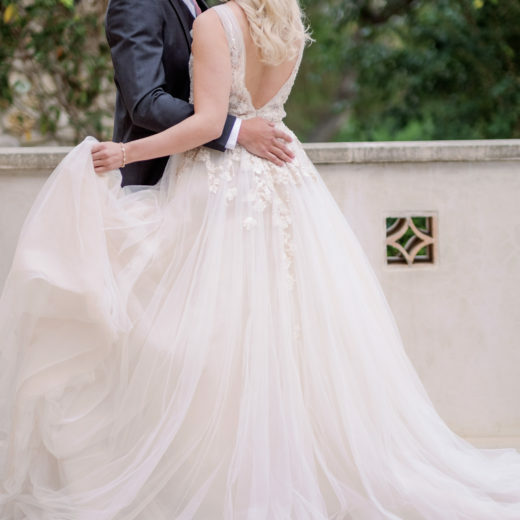 The couple loved the idea, but as it was November, the weather was not great for an outdoor shoot, so they waited until spring for the warm weather to arrive and the trees to bloom. 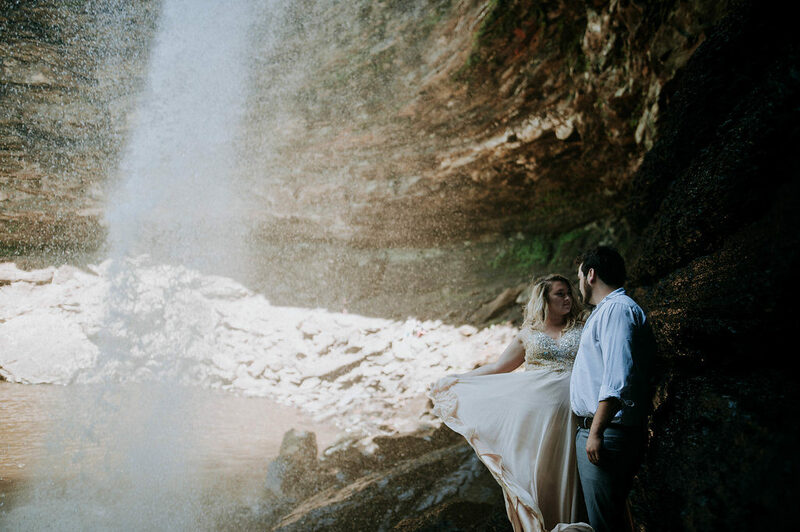 We think so too, and weren’t quite sure if the mist around them came from the waterfall or if it was steam coming off this obviously-in-love, passionate couple.